I love these pretzels so much. The date caramel sauce makes them even tastier. The best part is though, that once you make a batch of these, if you set aside four of them, you will be able to make the most amazing bread pudding casserole when I post the recipe for the next Sunday Brunch post. I can hardly contain myself. 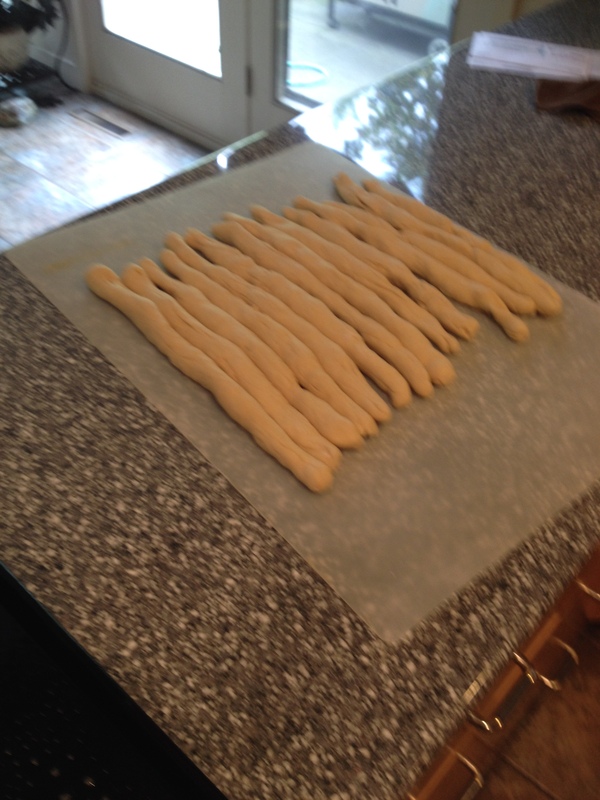 If this recipe makes too many for you (it can make 14-20 pretzels) you can halve it or make the whole thing, bake them, and then freeze some of them to eat later. I’m starting to get sad that Vegan MoFo 2014 is almost over! I’ve met so many awesome people from different blogs and my blog has been doing really well. Boo 😦 But I’ll save my sorrows for now, since there is still a full week left! Gotta give thanks where it is due! Add to the yeast mixture the sugar and salt and stir until dissolved; add flours and stir with a spoon until combined or mix in a standing mixer with the dough hook attached. Around the time the dough is about to be ready, prepare a baking soda water bath with 4 cups warm water and 4 tbsp baking soda in another bowl. Stir this mixture often until ready to use (once you form the dough into pretzel shapes they will be dipped into this and baked). 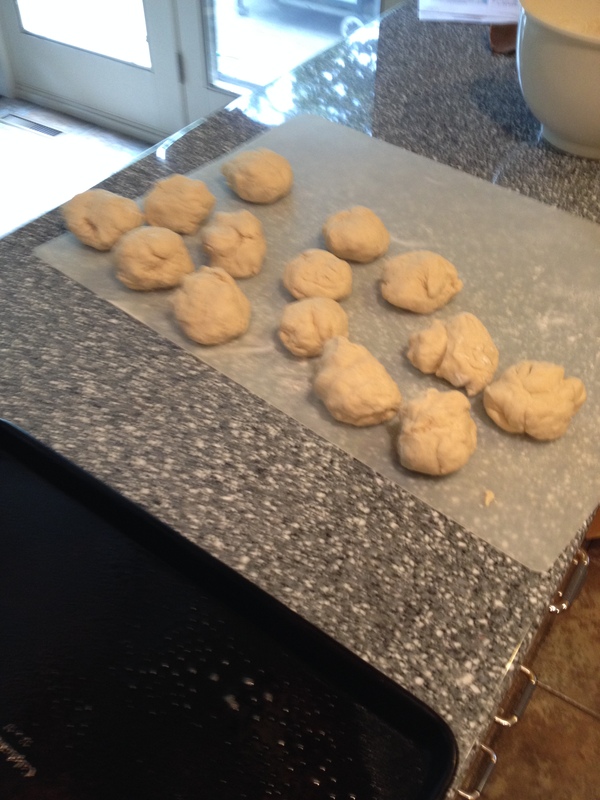 When the dough has risen, break dough into 14 even sized small balls, and then roll each ball into a snake/coil shape. There is an art to this that I have discovered. First, you knead the ball of dough and roll it around in your hand to soften it. Then you start to roll into a coil between the palm of your hands, focusing on the ends. Then you stretch it out by pulling it to elongate it, and roll it out more with the palm of one hand on a flat surface. 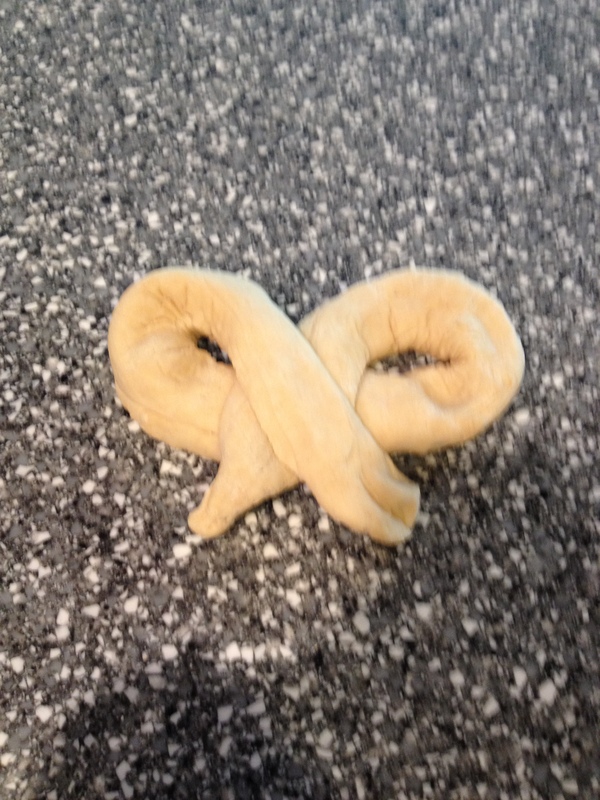 Shape into pretzels…it’s pretty easy to figure it out, but you lay the coil down horizontally and curl the two ends in the middle so that they overlap. 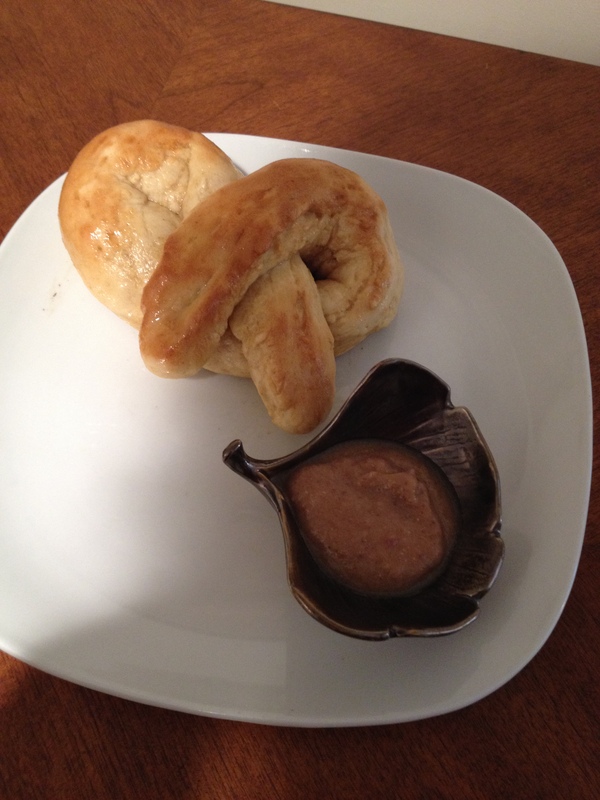 Dip the pretzels into the baking soda solution and place on a greased baking sheet (you will need at least two). 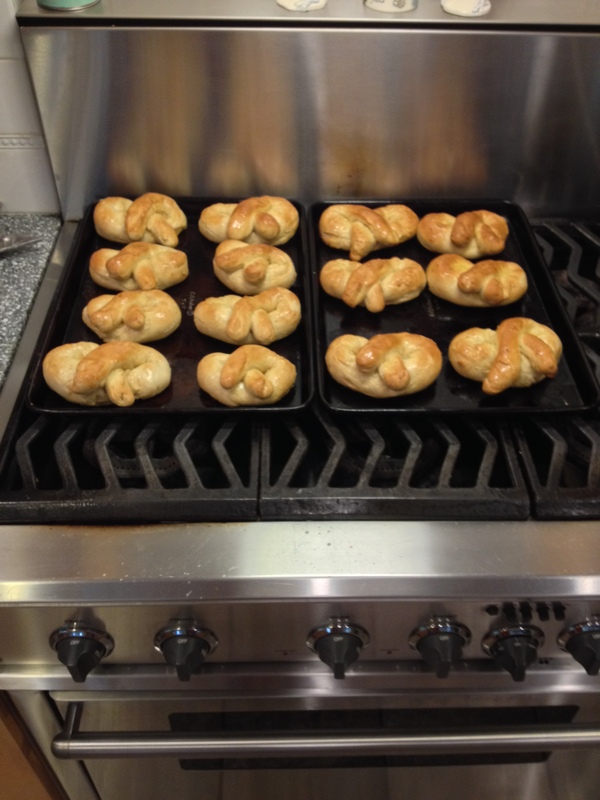 Cover the baking sheets with a towel and allow pretzels to rise again 30 minutes. This is a good time to preheat the oven to 450 degrees F.
Upon taking out of the oven, immediately brush with melted earth balance. Sprinkle with salt if desired, immediately after applying the earth balance. Allow to cool completely before eating. Place dates in a small bowl and cover with the water. Let sit at least one hour. Blend all ingredients in a blender until it is as smooth as you can get it. You can heat this up on a stovetop before serving if you want, but it isn’t actually all that necessary.